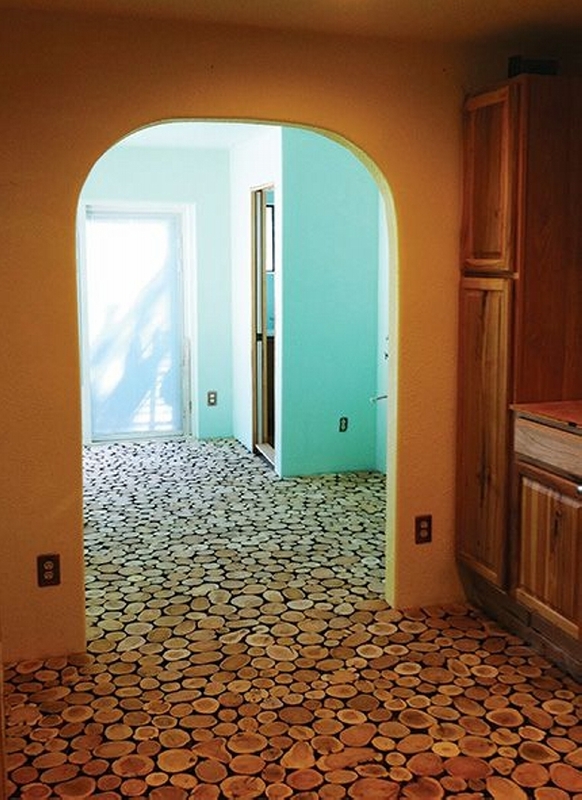 Among many other home decor plans, cordwood flooring is one of the most famous techniques. Almost every one of us is familiar with it pretty well. Cordwood flooring is certainly an expensive thing. But the utility and beauty you get against these bucks spent, that is simply gorgeous. So here in this article we are going to have a glance of some different cordwood flooring ideas and plans. 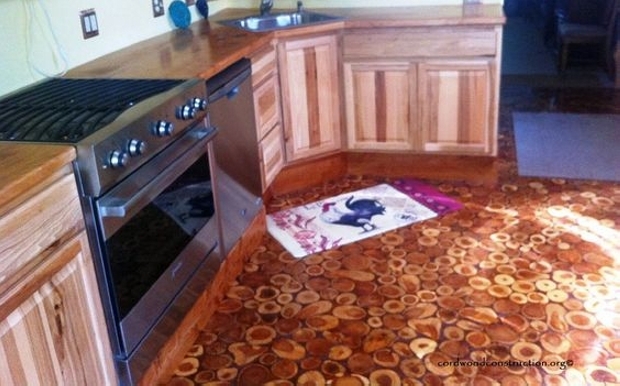 This cordwood flooring plan is pretty famous around the world. Especially in northern United States and entire west. 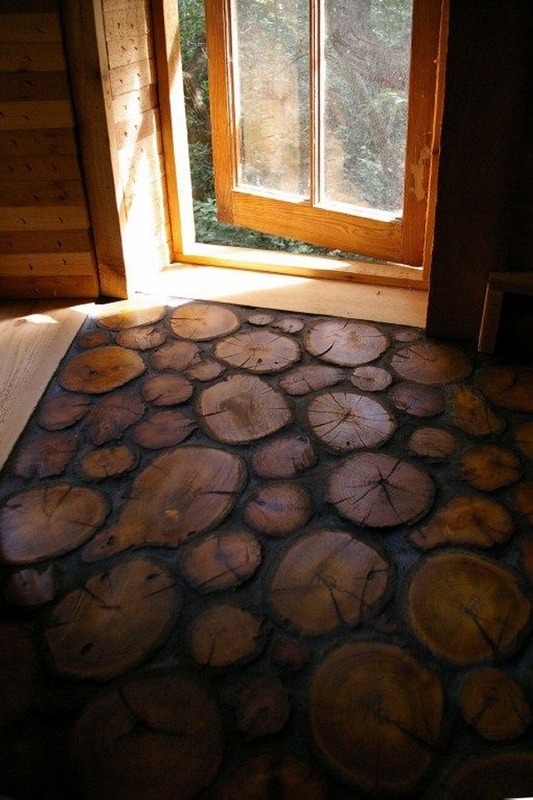 Some debarked pieces of wood are used in making this cordwood flooring. 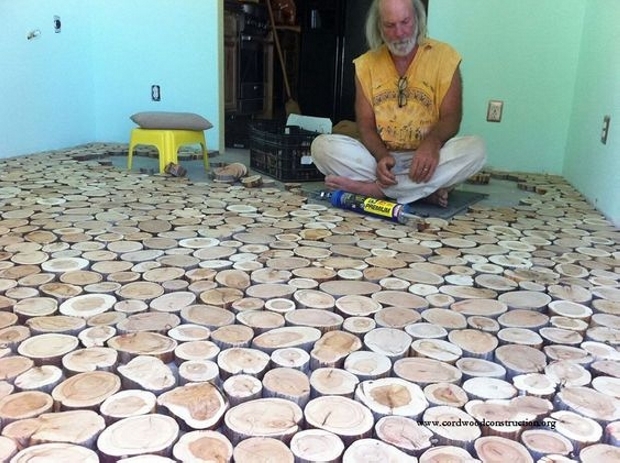 This is some cordwood flooring in some remote rural area by some cowboy who loves to make his home look pretty. But the pattern used in here is pretty professional, this is done by some high class professional using some of the latest equipments and tools. Really worth having a look. Now this is some rough countryside cordwood flooring done by probably some amateur. 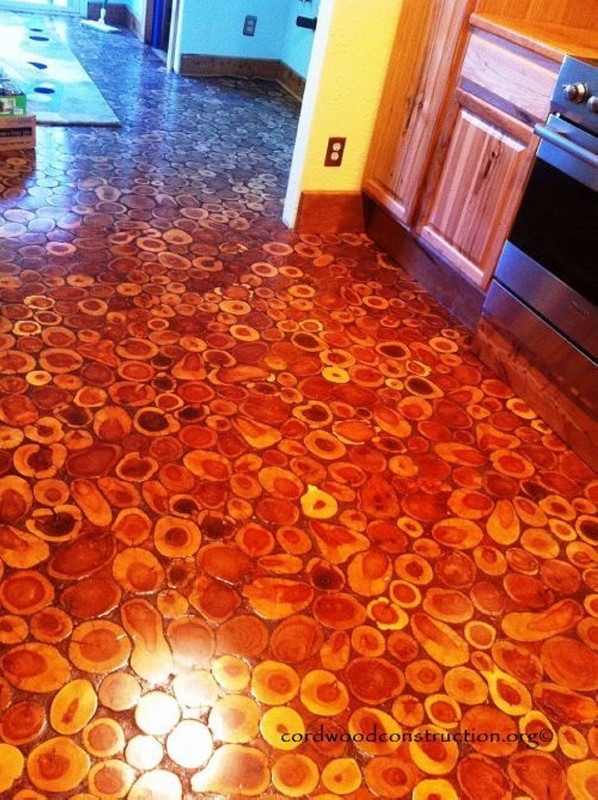 Some roughest and randomly cut debarked pieces of tree are used in this cordwood flooring idea. Some ceramic tiles along with wooden circular pieces are used in this flooring pattern to enhance the beauty of house. 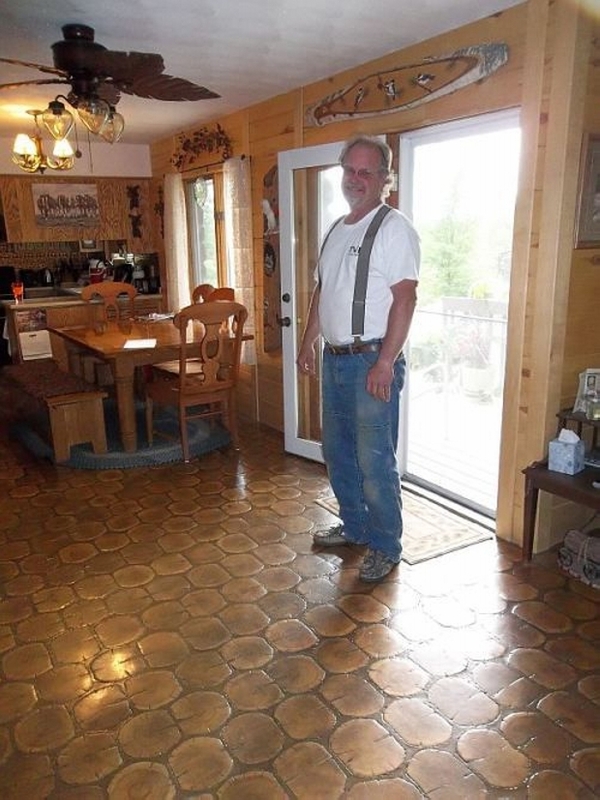 This is the man famous for domestic amateur cordwood flooring done by him. Debarked wooden pieces of tree are cut to one cm width and their circumference is just random, so certainly they would require some additional filling, now that might be concrete or some other binding substance that you prefer. Wow, this is some specified cornered space around a green landscape. 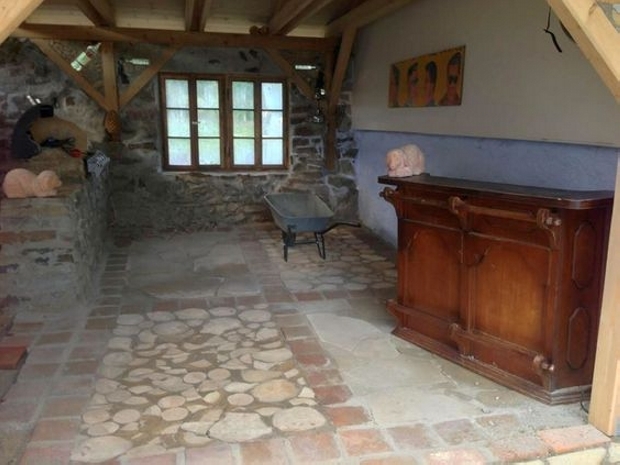 In the surroundings of this cordwood flooring we can also see some huge concrete blocks, so its pretty obvious that it is a general amalgamation of some mixed construction materials. 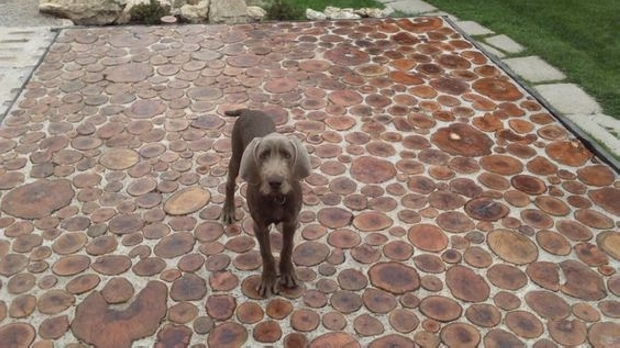 Yet the dark brown color of cordwood flooring is quite appealing even outdoor. 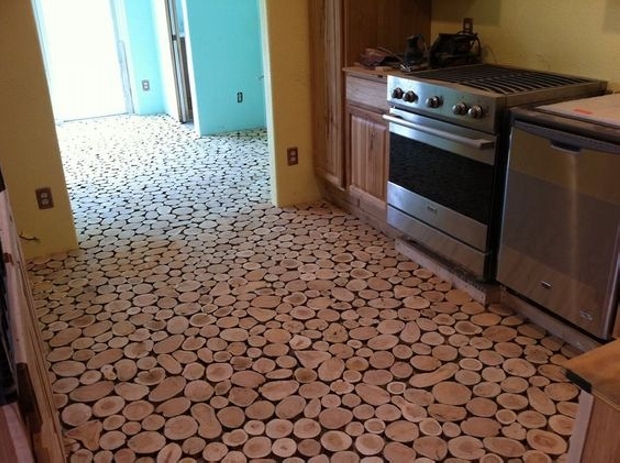 Here in this idea, the cordwood flooring is done all across the house floor. 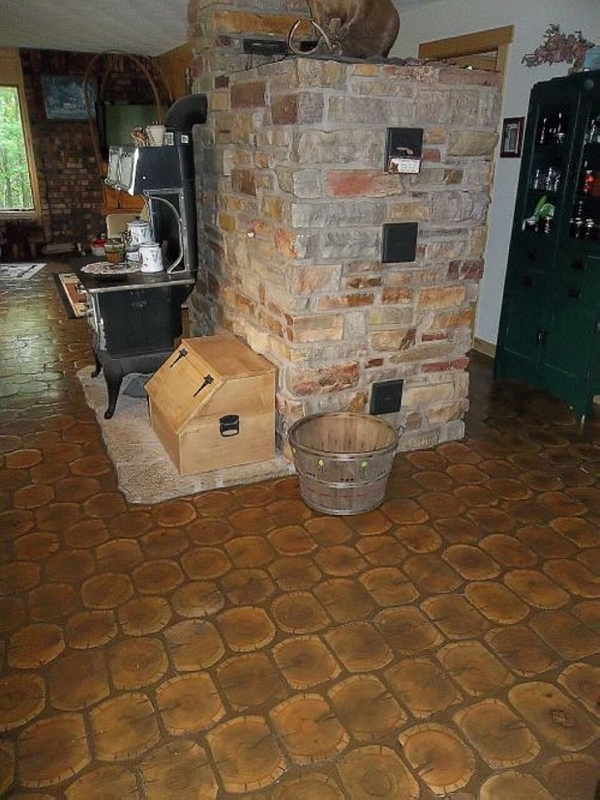 The kitchen, middle passage way, and the entire home floor are covered with the cordwood flooring. This is just the initial phase before the final coating where some adhesive or some other binding substance would be used. Now this is the final look of cordwood flooring we saw in the last project where it was yet to be completed. The spaces are very well filled with the grout, and an additional layer of polyurethane is used, this would help to prevent the grout from adhering to the tops. This is for sure amateur cordwood flooring done by some beginner who is not yet much expert in getting this work done. Some de shaped debarked pieces of tree cut randomly without following any certain pattern and measurements are cut. And they are just grounded and pasted roughly. This is again the image of cordwood flooring done in an urban house hold. Apparently the whole ground of house is covered with cordwood flooring. Again the wooden pieces are random, and without some certain pattern or specification they are just grouted and pasted on the floor. Yet they are attractive enough to bear all the expenses. Here a kitchen is taken very well care of. These are just the basic inspirations for the beginners. Cordwood flooring isn’t that hard, certainly it takes a bit of effort and concentration yet it is nothing impossible. Now this is some ancient times structure followed here in this project. 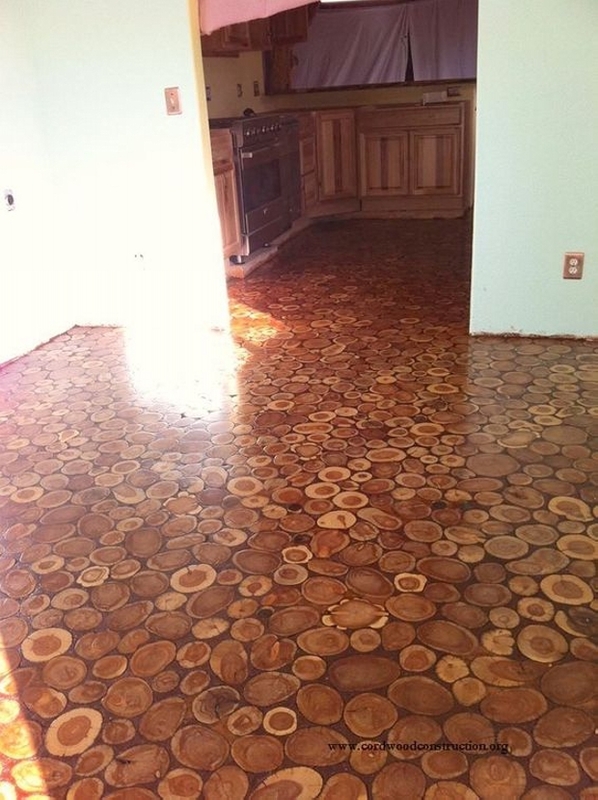 Randomly cut, evenly pasted and well grouted debarked wooden pieces of a tree are very smartly used in this cordwood flooring. 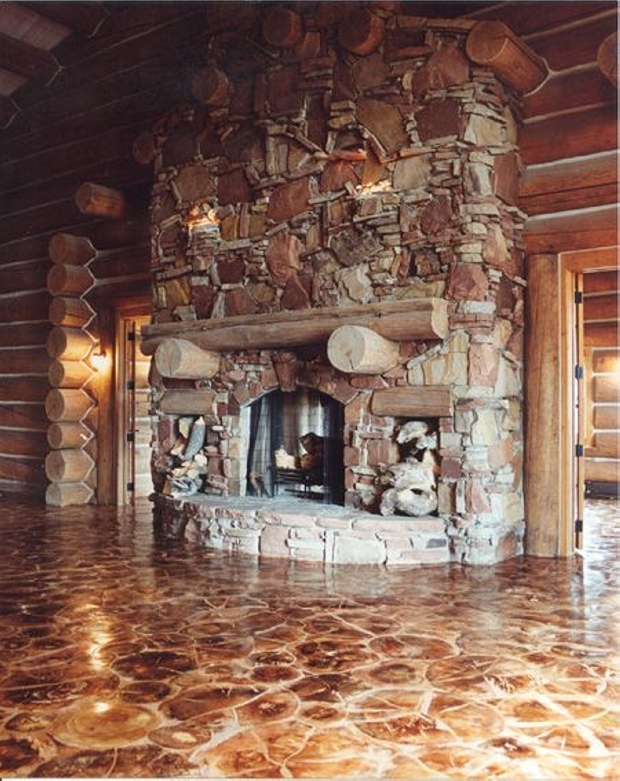 All of these cordwood flooring ideas are just commendable. At least one of them should be given a fair trial inside your home.